UpDown Closes - Best FREE UpDown Alternative Stock Market Game ! As of 8/01/2017, UpDown.com publicly announced that it closes its doors. UpDown was a stock market game with a real-time stock market game. UpDown users could invest in a simulated portfolio starting with $1 million and were paid based on their ability to consistently out-perform the S&P 500. We would also like to take this opportunity to thank UpDown for their contribution in the investment community by helping investors of all levels improve their skills without risk. One of the best UpDown alternative is HowTheMarketWorks.com! In terms of core functionality, the trading and portfolio management operates in the same way as UpDown. HowTheMarketWorks trading platform executes orders with real-time data from the market, giving you a more accurate representation of the actual market. Traders can place orders for stocks/ETFs and mutual funds in the U.S. and Canadian Markets. We also offer a wide range of order types and order terms. As an example, we support limits, stops and trailing-stop orders ($ or %). 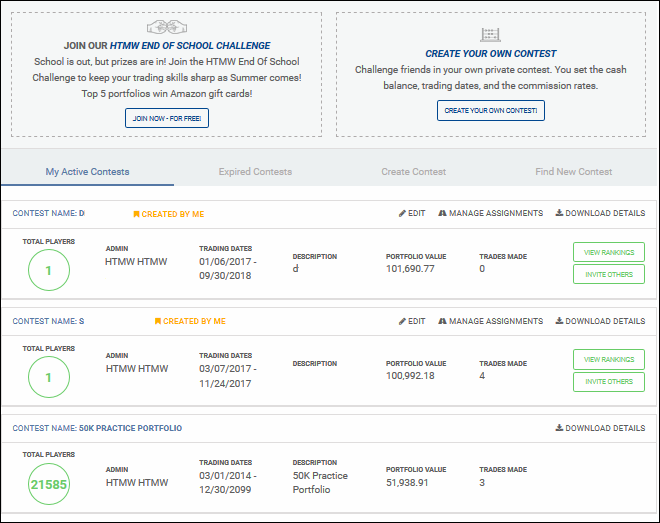 HowTheMarketWorks allows users to create custom private and public contests. As an example, you can decide the initial cash balance, maximum number of trades, trading start/end dates. You can easily invite users by sharing a custom URL that will be provided upon registration. On top of that, we also have “house-rules monthly contests”, where the top 5 winners receive $500 amazon gift cards! 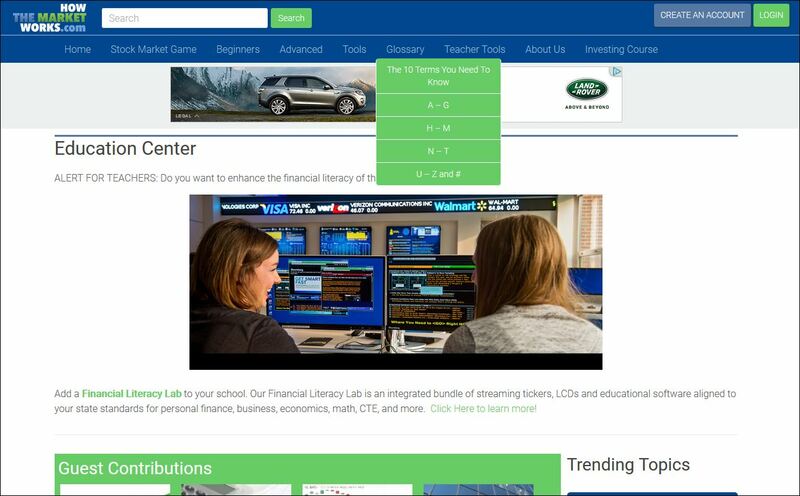 HowTheMarketWorks also has an Education center that contains videos, quizzes, articles, calculators and a glossary database to provide you with all the necessary tools to learn more about finance. This site has been used by more 10,000 schools to uplift the course curriculum and make the class more interesting. 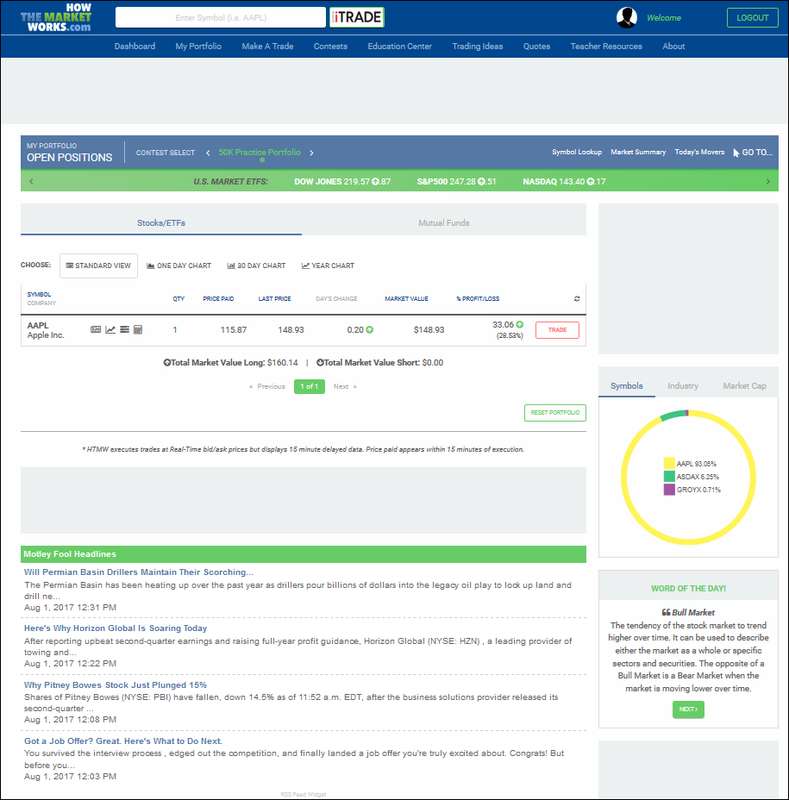 Click here to register for a free stock market practice account on HowTheMarketWorks.com! For more information, please do not hesitate to submit a request or to call us directly at 1-800-786-8725!